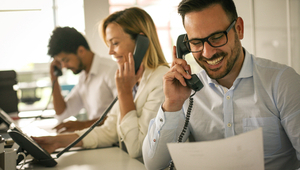 Saying goodbye to the traditional phone service and welcoming VoIP into your business can have a multitude of benefits for any business. You will save a lot of money, have a lot more functionalities, and communication will feel seamless. 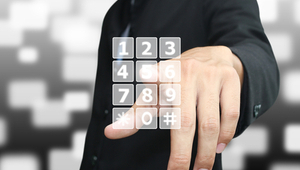 Enticing as it sounds, it’s important to ask: is VoIP the right fit for you? Are you thinking about switching but don’t know exactly what you could be signing up for? Our VoIP guide for small businesses will help you decide if implementing a VoIP system is the right solution for you. Technically speaking, VoIP converts your voice into data packets that travel over the internet (as opposed to phone lines). These pertinent packets of data are transferred to the person you are trying to call, and upon reaching them, they are converted back into audible sound. It is as simple as signing up with a VoIP service provider, and all the calls that you send or receive from then onwards will be sent over your internet connection. You will need VoIP-specific routers and VoIP phones to get things running. A supportive internet connection ensuring that delays and latencies are kept as low as possible. VoIP phones to place the calls and stay in touch. VoIP-specific routers to ensure that the proper configurations are in place on your network. Choose the right vendor to set up VoIP for you, and the whole transition will seem remarkably seamless. It’s also important that you keep monitoring the VoIP system and make it secure. Vonage: An award-winning business VoIP provider, Vonage is one of the best VoIP phone services out there when it comes to enterprise VoIP services. RingCentral: RingCentral is another big gun when it comes to top VoIP phone service providers. Grasshopper: With a 30-day money back guarantee, you get an incredibly reliable package with Grasshopper. 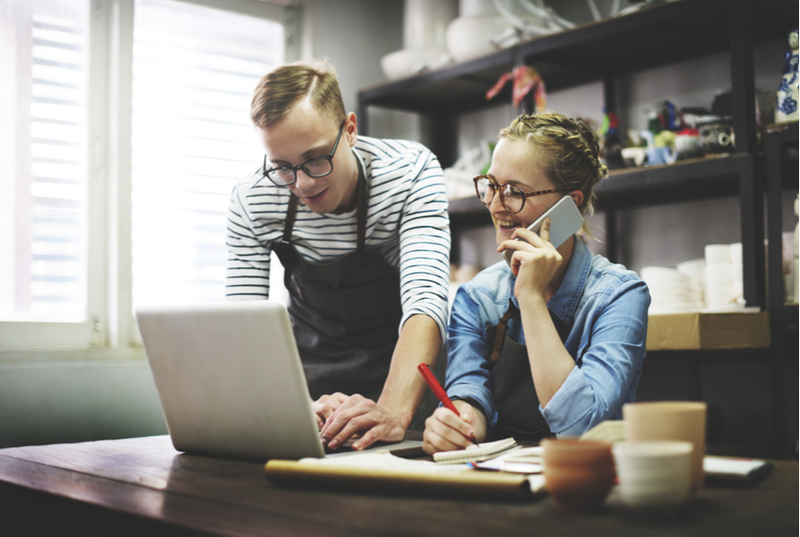 VoIP is incredibly beneficial for small businesses. How exactly is it beneficial though? Are those benefits tangible? Let’s find out. When you use a VoIP phone, long distance calls will no longer be costly. You will save more money than you think. All you need to stay connected with everyone important is a VoIP phone and internet access. That isn’t possible with the traditional phone system you have. You’ll get features like call screening, music on hold, find me/follow me, and call routing, to name a few. With VoIP, you get to have an auto-attendant which lets users interact with a menu before they can be directed to the right department or person. Voice call quality in VoIP can be bad if you don’t have a substantially supportive internet connection. However, this really isn’t a problem if you possess the necessary bandwidth. It’s always a good idea to check your connection for VoIP suitability before making the switch. Unlike traditional telephony, VoIP needs a power source in order to function. So if you don’t have a backup generator and power outage is a possibility then you run the risk of your primary communication system being unavailable. Any software that gets installed on a computer and can be used to make a call. In the realm of VoIP, cloud communication can be defined as the way VoIP communicates with equipment present at a remote location. Delay takes place when data packets take longer to reach the destination than the expected time. An exciting feature of VoIP which can be used by users to reach other users regardless of the location of the called party. User A can call User B at their work phone, mobile phone, or home phone at the same time. Jitter can be referred to as the temporary fluctuations that might occur during voice transmission, leading to audio getting distorted. Session initiation protocol or SIP is a protocol used to manage multimedia sessions on the internet. A method in which data packets get broken down and sent over the internet. These packets are then reassembled at the receiving end and are not necessarily received in the same order that there were sent in. It’s possible that a VoIP system for your business is not a necessity (yet), but it’s not an unaffordable luxury either. You get tons of excellent features at low setup and maintenance costs that make communication a lot more convenient and seamless. We hope this VoIP guide gave you a good introduction to the basics of this hugely useful business tool. If you have made up your mind but are confused about choosing a vendor then this VoIP Comparison Tool will help you out.